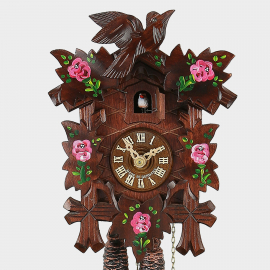 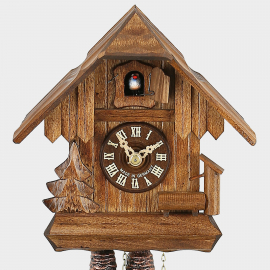 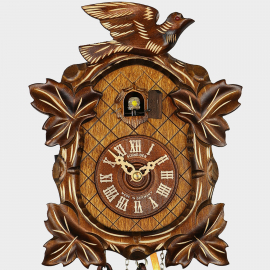 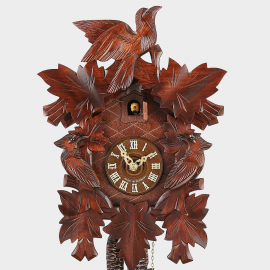 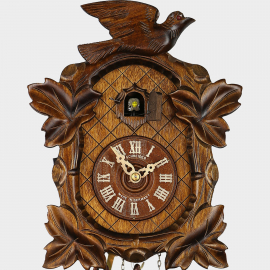 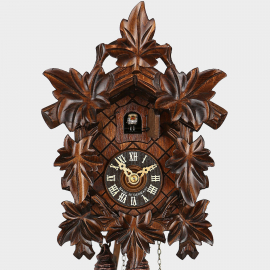 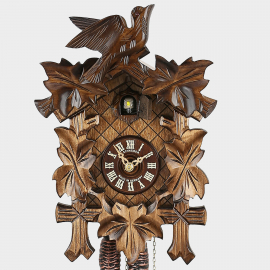 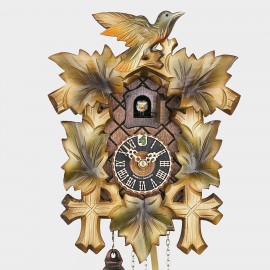 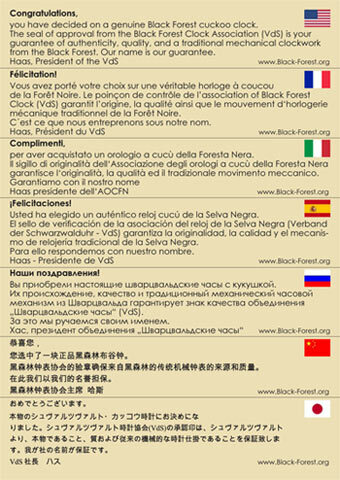 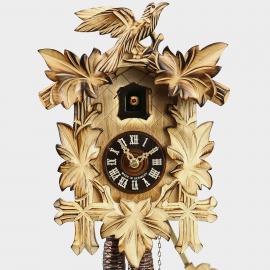 At the House of 1000 Clocks you will find 100% Original Black Forest Cuckoo Clocks from traditional clockmakers in the Black Forest that are known worldwide for their craftsmanship. 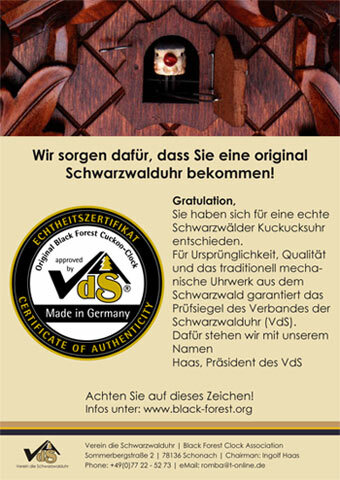 Our company is a member of the german association "Verein der Schwarzwalduhr", and we guarantee that our products are all certified, VDS Cuckoo Clocks. 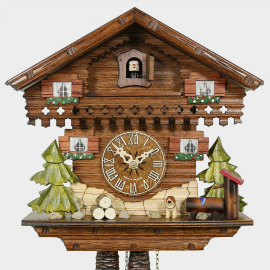 Some mechanical Cuckoo Clocks have a 1-day clockwork built into them, which means that the chains are pulled once a day, and other mechanical Cuckoo Clocks have an 8-day clockwork (chains are pulled once a week). 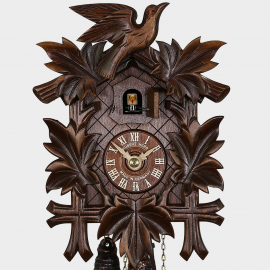 The accuracy of the clock is controlled using the APS-Pendulum, which provides a quiet, restful ticking sound..